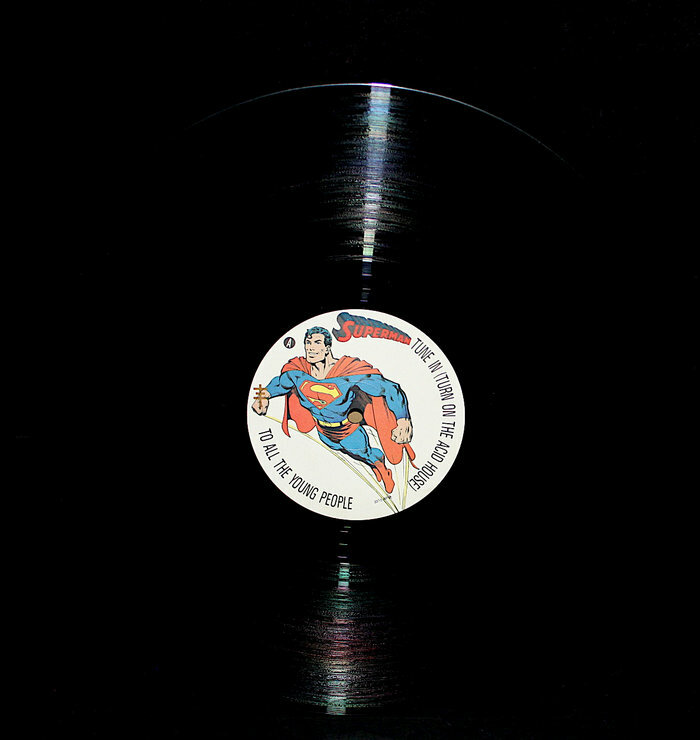 This version has the DC Records logo on label artwork. Comes in die-cut blank sleeve. Psychic TV's name does not appear anywhere on release, but Superman is holding the Psychic TV cross in the picture on A-side label. Mix credits are found on the run-out groove. Recalled after legal pressure from DC Comics for its Superman references. Reputed to be the first record released in the UK to feature the words Acid House.